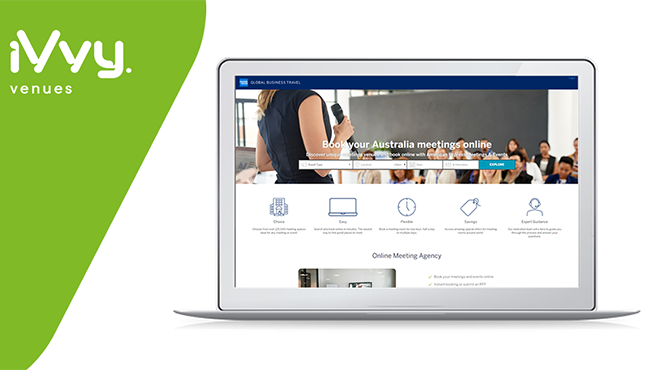 BRISBANE, QUEENSLAND (Feb 11, 2019) - iVvy, the award-winning hospitality Software as a Service (SaaS) provider, will now support American Express Meetings & Events (M&E), a division of American Express Global Business Travel (GBT), to offer its users a single interface for sourcing meeting and event space. The new platform, Meetings Express, will provide American Express customers in Australia and New Zealand immediate access to iVvy’s extensive inventory of thousands of hotels, restaurants, function centres and even yachts. "Client demand for service in the small, simple meetings segment is significant" says Issa Jouaneh, Senior Vice President and General Manager of American Express Meetings & Events. "Meetings Express helps meeting owners achieve their goals with consistent global service and relevant local content, supporting the creation of the best possible attendee experience," he added. iVvy CEO Lauren Hall says "We are thrilled to be offering our white labelled solution to American Express Meetings and Events, providing them with a seamless value proposition, to enhance their customer journey." Hall continues, "Despite an evolving digital economy, the Meetings & Events industry still remains incredibly disparate. By offering American Express Global Business Travel a direct booking platform, we are able to connect qualified buyers to suppliers in a streamlined, automated process, to significantly improve in-house efficiencies for both parties. We know that corporate meetings offers venues a potential to maximise profitability, so this partnership will help to generate a new revenue stream and provide greater exposure for iVvy’s existing clients to corporate buyers that they may not have had access to before". With offices in 7 countries and a global team providing support 24 hours a day, iVvy’s groundbreaking, cloud based software offers scalable solutions that tackle core issues faced by the travel, MICE and events industry, and continues to service the world’s leading hospitality groups, major corporations, travel companies, government offices, associations, universities and nonprofits.